While a responsible parent should start thinking of the lifestyle and future feeding plan for their newly born, most parents get too accustomed to their toddler’s suckling habits that they don’t devise strategies on how to lead them to proper diet plans after the suckling phase. Consequently, it’s all fun and games until the real parenting begins – struggling to make your kids eat what you want, handling daily tantrums and endless fights that end up with you trying to convince a crying toddler to try a spoon-full of veggie soup, and so on. What if you could make all of this go away and watch your kids develop a special affinity for healthy food? 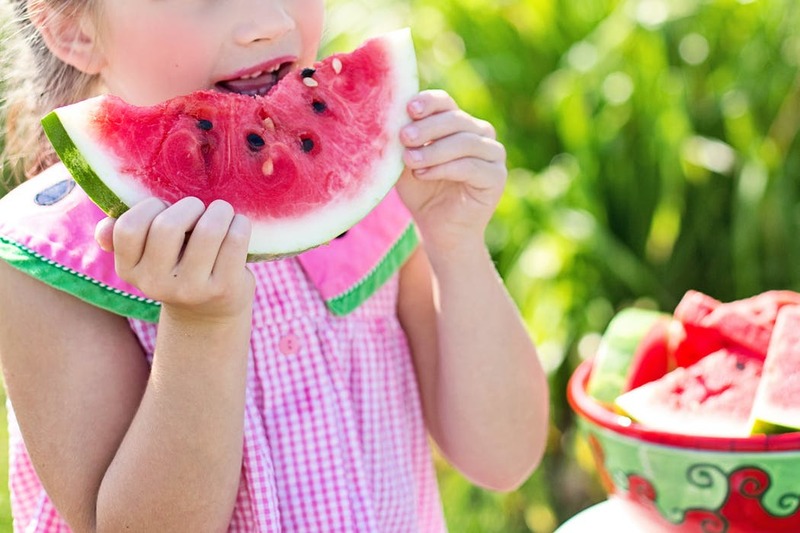 Read on and get to know five tips that will make your kids eat healthy meals and remain fit. Always learn to keep things simple with kids. Placing too many restrictions on food will not only create eating disorders and possible future conditions such as bulimia but also create a spirit of rebellion in them. Stock your fridge with savory, healthy, and wholesome foods, to enable your kids to have a variety of options and even enjoy the freedom of choice in picking what they want out of the healthy stash of delicacies. Create a series of games to play with food, dress up a little, and find some colorful outfit and apron for you and the kids. Get a healthy recipe and cook together, let them mix things up in the kitchen and mess themselves up once in a while, and in the end, you will be amazed to see how well they can accommodate healthy food. Assuming that kids don’t listen to the tiniest amount of information would be a big hoax. Therefore, use this to your advantage. Talk about healthy living more often. Make the kids know that you acquired muscles and grown tall because of eating vegetables, make it random and even create a fun-but simple slogan that involves healthy living. Yes! You read that right. Allow your kids to enjoy some junk food a few times. Eventually, it makes them realize they have no restrictions to eat junk and sugar unlike other kids, but at the same time, attribute the minor challenges they face to the junk and sugary foods. For instance, let them know that such foods caused a sore throat and tummy-aches. Such crazy but beneficial ideas and many more found in the Mirror Daily News could be the big break you’ve been hoping for, and with time, they will be their own bosses. Promising to spend a whole day at the arcade with them, or even extending their bedtime curfew could act as a motivating factor for the kids to conform to your healthy eating conditions. Try it out some time. The only thing you should avoid is rewarding food with food. For the most part, parenting on health decisions is fun, interactive and certainly educative. Create goals with your kids; be the best role model they could ever have and find a way to inspire them as far as health is concerned.